Rooms are available at reasonable prices. There are little designs in the ceiling of the colonnade and the Mawaribuchi of the walls. 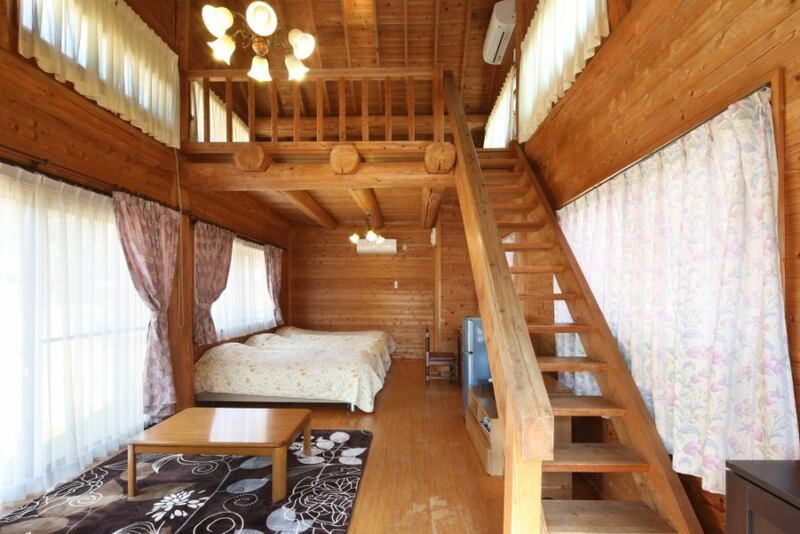 Although it can not be said that the size is wide for compliments, I think that you will be fully satisfied with the guests who stayed at the pension. The stylish powder room is popular. ※There may be weekday discounts and premature seasonal charges (500 yen to 1,000 yen).Please confirm with online reservation etc. The original interior adds flowers to the memories of the trip in the wide powder room of Southern Europe style. 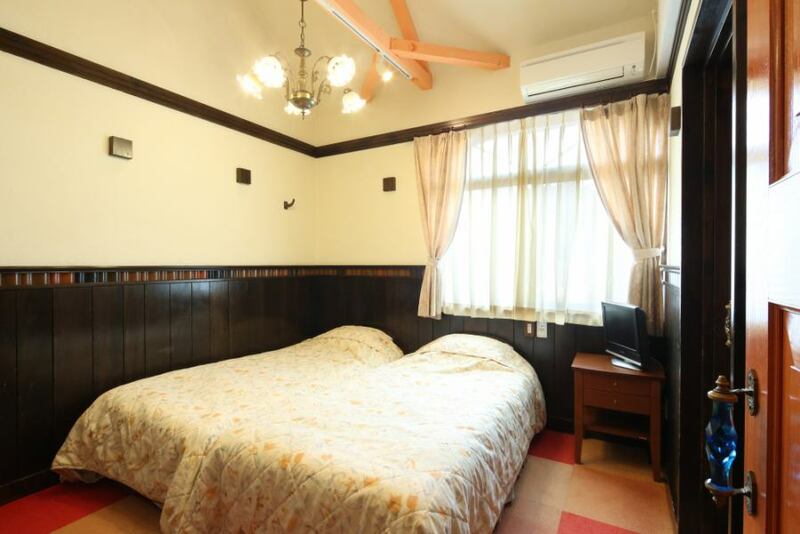 Oriental Twin ST room type room with two rooms for 1 room is also equipped with a closet. 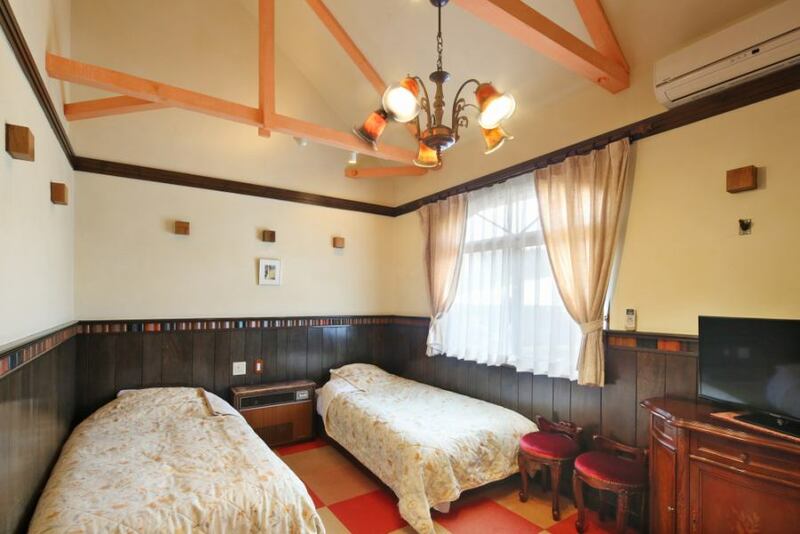 The rooms are small.That is a very reasonable price setting.It is the same size as the ST type, but the bed becomes slightly larger, so the free space will be a bit smaller correspondingly.Of course, the room has a washbowl with a cute powder room and a toilet. Honkan main building with keynote of white group type There are two to five people to relax and relax. Toilet, toilet, fridge, TV, reception sofa set can be comfortably spared. Indirect lighting and cute blankets add flowers to the memories of a pleasant journey to the interior of the colonnade which is based on white. The price changes according to the number of people you use. 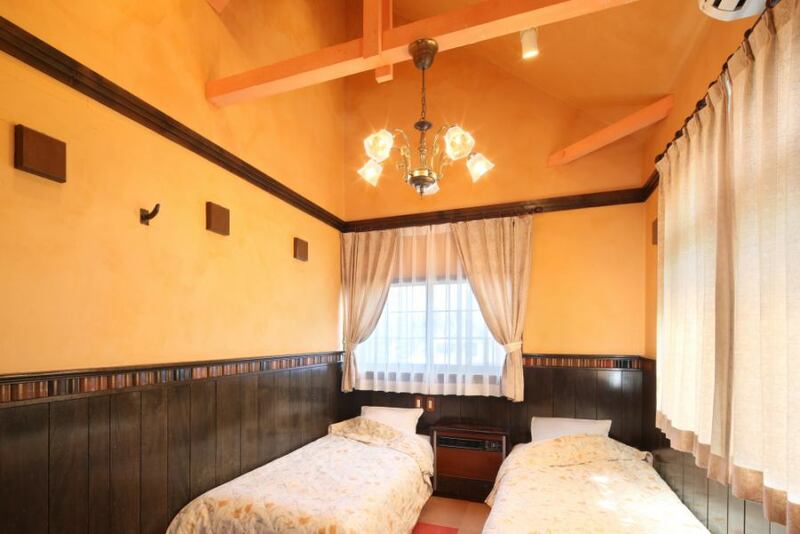 Arumu no Mori separate cottage in the premises of the Arumu no Mori.It is a loft-style bed with 3 people on the first floor, a cupboard for 3 people on the second floor of the middle floor and a capacity of 6 people. 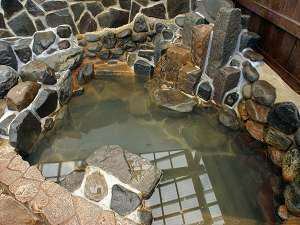 There is a private outdoor bath style rock bath in front of you. Air-conditioning / television / refrigerator (bring-your-ownership allowed) · bathtub with toilet. Please use it as a villa sense. Meals will be prepared at the main building restaurant. It is usually a reservation reception from 3 people, but a limited 2 person plan is also available according to the season. For groups of 15 or more, it will be private in the whole building. Please contact us by phone in advance. 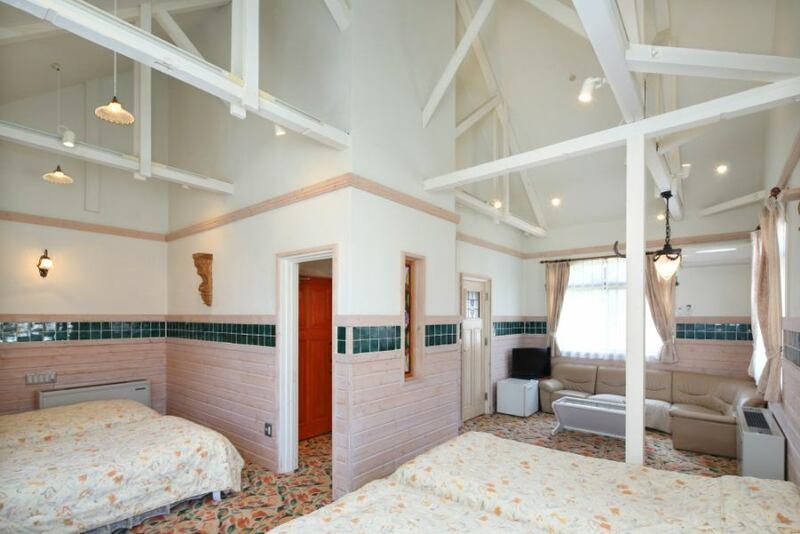 ■For accommodation, a hot spring tax of 150 yen per adult is necessary according to the Aso City Ordinances. ■There is a seasonal discount fee.Please check online reservation. GW period, the old basin, New Year's and New Year's holidays change from 500 yen to 2,000 yen (tax excluded). Be sure to inquire in advance for reservation of several rooms. Please prepare the personal computer and connected equipment by the customer.Connection may be impossible due to differences in model and wireless LAN system.I can not supplement the technical part. 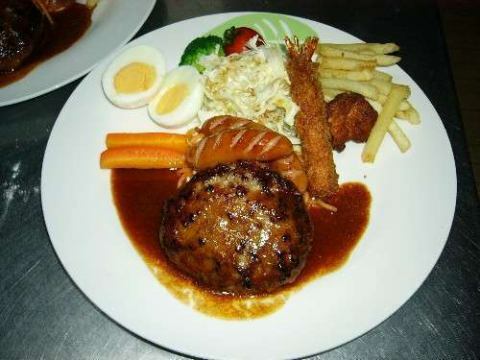 In addition, Resort Villa Meisa does not currently support it. Copyright© 2011　オーベルジュ　アルムの森All Rights Reserved.